Today much is being made of diversifying rural Nebraska's economic base to stem the tide of out-migration and attract young people back to our rural communities. It seems that an examination of the past gives abundant examples of diversification, from fruit farms to broom factories. 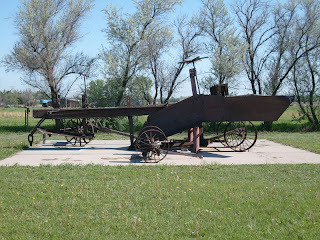 can be seen at the Lincoln County Historical Museum in North Platte. In the summer of 1897, an irrigation ditch was installed on the south side of Sutherland. 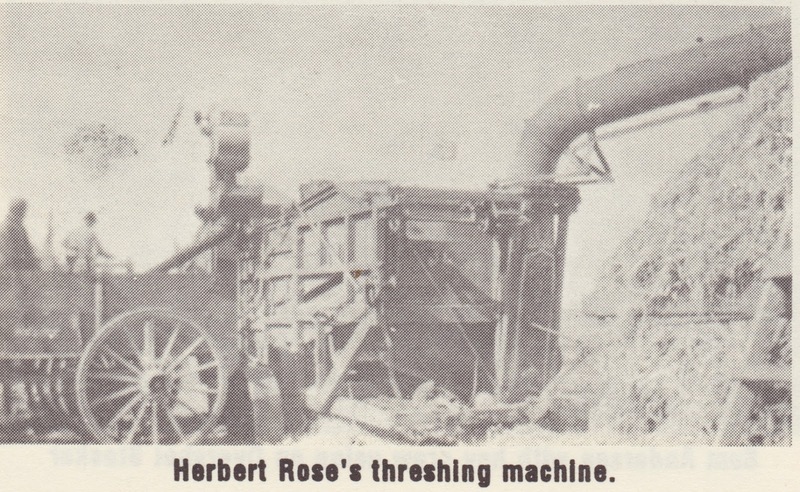 Mr. Keith was acting as president for the Company, with large teams put to work on ditch excavation. In June 1897, it was reported by the ditch rider, Court Stinger, that water had been turned into the new ditch from the South Platte River. The following week we found that a serious break in the ditch occurred as a result of turning too large a water flow in. A new section of ditch was being built around the old one. Plans were to install the headgate for the ditch company in the fall when the river flow was less. This was completed in November 1897. Three men had been employed as ditch riders during the summer of 1897 to guard against breaks. As much water as the ditch would hold was being pushed through to aid the famers in irrigating their crops. 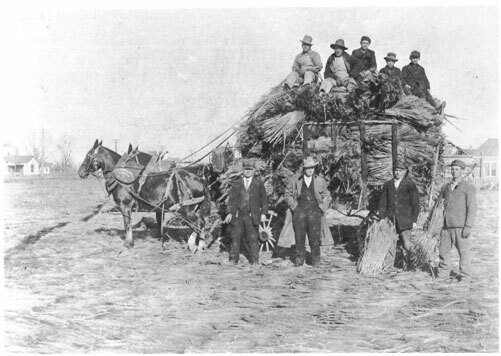 The talk of the town that fall was the wheat of S. Funhouser that produced 30 bushels per acre of wheat, the onion crop of Frank Carpenter yielded 500 bushels and he had been offered 55 cents a bushel, also an unusually good potato crop was recorded that year. In June 1898, the W.L. Parks farm yielded 3000 quarts of strawberries and 500 quarts of raspberries. An interesting item in January 1899 stated “The Gunderson boys and George Duffield sold “Broom Corn” which proved most profitable on the farm, bringing $50.00 and $60.00 a ton.” The stalks were used in the manufacturing of brooms. There was a broom factory in Sutherland at that time. 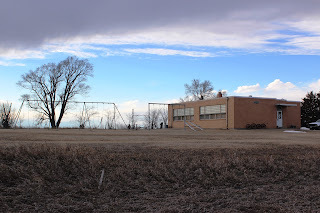 It was located west of the old bank building and another one was later located north of Greg’s Auto repair. The last item noticed in connection with “Broom Corn” was in March 1903 stating it had proved to be a paying crop helping the south side farmers. In January 1902, Dipping Tanks” were being put in at the Neilson ranch and the Titterington ranch in an effort to control Mange and Lice Scab in cattle. 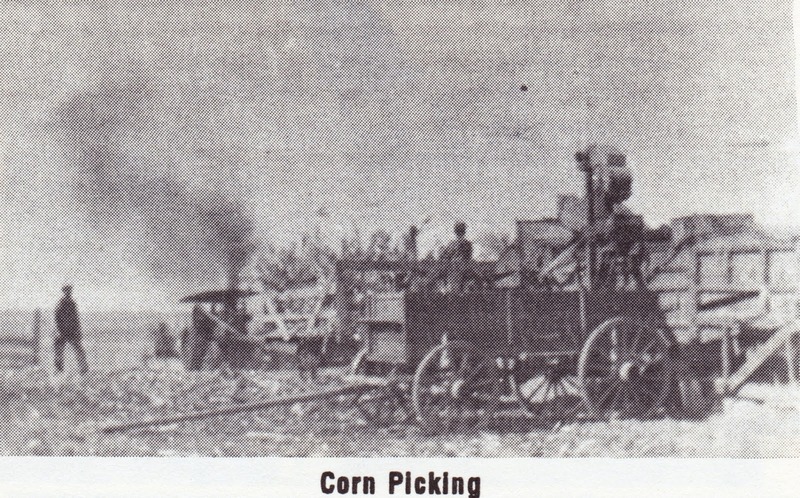 In January 1903, we find that corn shucking had begun again in real earnest having been delayed by the snow. More than half of the corn had been harvested before the snow but the farmers would be very busy in an attempt to finish before another storm arrived. 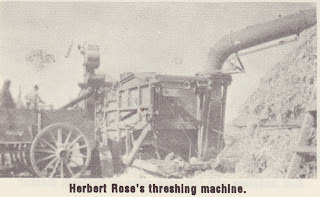 The corn sheller was very busy in the valley with many farmers having their corn shelled in order to use the cobs for fuel. They made very good fuel in the absence of coal. Cattlemen were turning their stock out on the stalk field despite the danger of loss by stalk poison as the poisoning seemed to be less this year. In April 1903, the dairy business was a popular side line for many south side farmers as it put many struggling farmers on their feet. A freeze and blizzard that spring ruined the sugar beet and fruit crops. 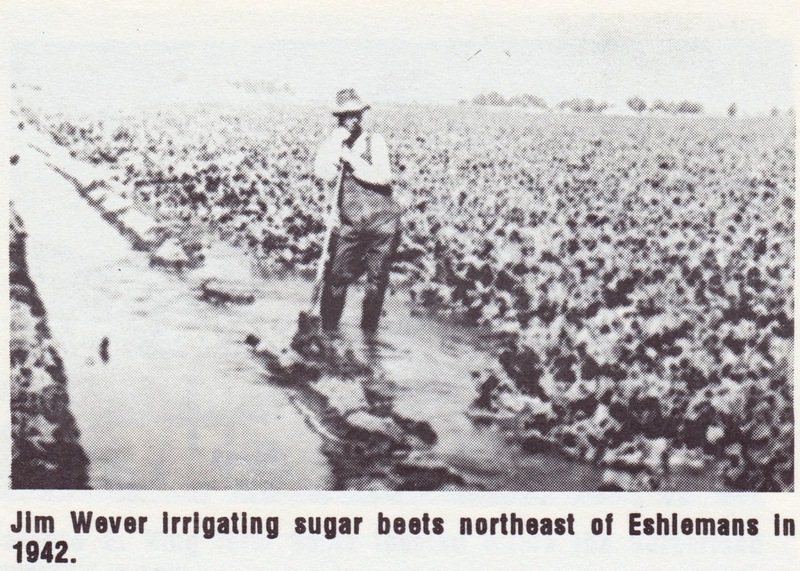 Sugar beets were becoming a popular crop for the farmers. The beet dump at O’Fallon’s was completed in March 1904. Mr. William each of Sutherland had invented a beet digger that promised to revolutionize beet harvesting. It could pull four rows at a time. The spring blizzard of 1913, considered the worst in many years, killed hundreds of cattle and hogs. 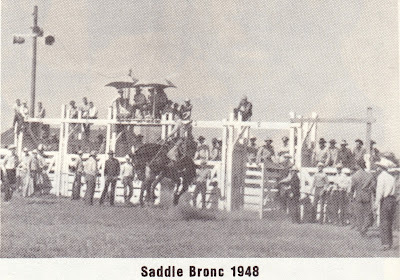 A few of the losses given were: George Ferbrache lost 66 head of cattle; Bert Saxton 40 head; John Palmer 200; Jim Shoup lost 60 head of hogs and Robert Hoatson 100. In June 1915, precipitation records were broken with 16.5 inches, 9.58 inches above normal for a 5 month average. Cellars and basements being flooded. In September 1918, Mr. Melvin H. Binegar purchased the Nielson ranch consisting of 480 acres four miles northwest of Sutherland for $22,500. In August 1922, it was reported that a large reservoir was in the planning stage that was to be built eight miles south of Sutherland. It would hold 50,000 acre feet of water but that our farmer friends should not quit until the project was carried to completion. In January 1925, a Jackrabbit hunt was held with over 600 jackrabbits being killed in three hunts. This was organized by the men in Sutherland thus helping to save the corn that was still in the field. In September 1926, Dean Collett, the 15-year old son of W.H. Collett who lived southwest of Sutherland, killed 49 rattlesnakes in a prairie dog town while he was gassing the prairie dogs. In June 1929, contracts were let for the construction of two new roads to be built. One from the Glenburnie Fruit Farm to the north river bridge, and the other from one mile west of the cemetery to across the slough north of the Charles Burklund farm southwest of Sutherland. These were to be permanent all weather roads. 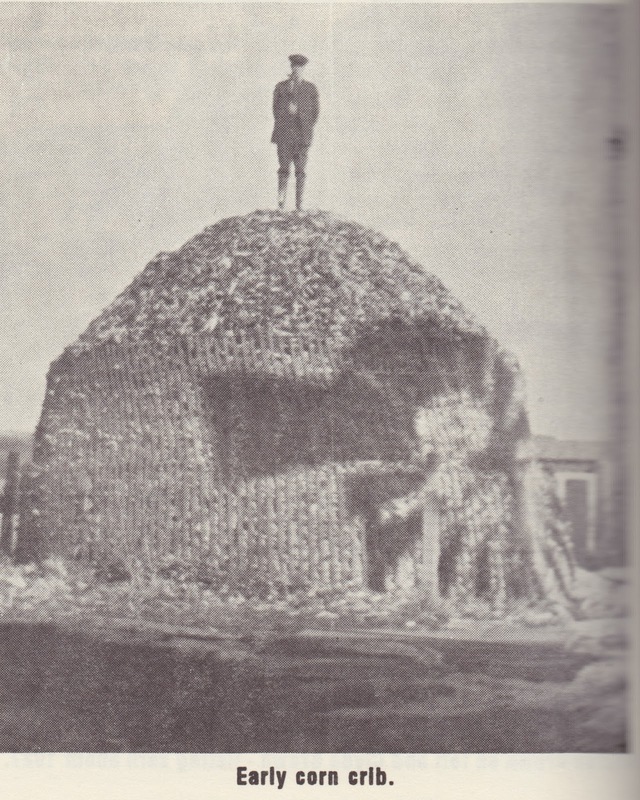 In November 1933, Mr. Elza Burcham of Sutherland shucked 122 bushels of corn in one day. In March 1935, a large dust storm swept over six states, Oklahoma, Kansas, Wyoming, Missouri, South Dakota and Nebraska. All the winter wheat was wiped out. In November, 1938, there was report of deer being sighted in the area. This was a very rare sight. (See my earlier post about market hunting in the area). Electricity was received at the Harry Stewart farm, northwest of Sutherland in January 1942. A number of homes have been wired and are anxious for the line to be extended. Thanks for the comment and sharing the link to the article. Lots of good historical information there. I just found your blog and love it! I love history and enjoy genealogy and have ancestors that lived in Sutherland and many are buried in Riverview Cemetery. I'm happy that you are doing what you can to preserve the town. My family and I traveled through Sutherland two summers ago to visit the cemetery. I live in Texas so it's nice to be able to see what's going on there. Thank you for the nice words Lilybelle! Early on, I got to thinking about how I love hearing stories of my ancestors, and how most everyone I knew did too. Then I got to thinking about all of the incredible stories trapped between the covers of the local history books. I decided that the best way to help people find stories of their ancestors was to get them out to a wider audience via the Internet. Hopefully some stories will be shared that people will find and say "I never knew that" about their ancestors. I hope you are able to visit again one day soon.